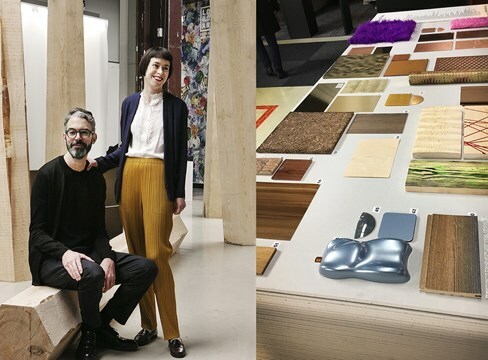 PRESS RELEASE With its innovative, pink stained wood, the Swedish Design Pavilion attracted a great deal of attention at the London Design Fair. The wooden pavilion allowed industry organisation Swedish Wood to display the potential of pine, while also promoting contemporary Swedish design, as the pine structure created a showcase for Swedish design companies over the course of the fair in September. With Swedish Wood’s participation in this year’s London Design Fair, pine was presented in a whole new light. The wooden pavilion, created by architect Karin Sundberg, was built in solid pine and stained a striking pink. The 27,000 or so interior designers, buyers, manufacturers and journalists who descend on the London Design Fair each year were given a surprising and colourful view of Scandinavian design this time around. Karin Sundberg has many years of experience in urban planning, architecture and design. She likes to turn a conceptual idea into a narrative composition that is clear and easy to relate to. She is passionate about sustainable development and is keen to inspire people to live more sustainably with the help of design in all its forms. Her aim for the Swedish Design Pavilion was to create an open arena, divided up in a grid system that lends flow and clarity to the space. All the exposed pine is stained a deep pink. The colour of the wood proved a real wow factor, making the pavilion stand out and providing a bold backdrop that let the exhibitors’ products shine. “Pine is a wonderful material to work with. Not only is it versatile and sustainable, but it also gives a wonderfully natural feel. Wood is a material that we’re definitely going to see more of in future design and architecture. I’m so pleased that Swedish Wood was a partner on this project, as it supports progress in this area,” says the Malmö-based architect. The Swedish pavilion at the London Design Fair, which was held on 20–23 September, was organised this year by Southern Sweden Creatives in partnership with Swedish Wood, Ateljé Lyktan and Form magazine. Thirteen design companies based in southern Sweden took part, including Swedish Ninja, Myltha by Lisa Hilland, Nola and Happy Ears. “It’s important for Swedish Wood to attend design fairs, not least as a way to promote Sweden as a wood nation. But we also want to show what can be done with pine, a wood that opens up endless possibilities. The pink pavilion made a strong statement at the fair. Architect Karin Sundberg has pulled off a pine structure with a fascinating and innovative look,” says Charlotte Dedye Apelgren, who is Director of Interior and Design at Swedish Wood. Southern Sweden Creatives is a project that helps southern Swedish businesses in design, film and other creative industries to reach out into the international market. It is currently the biggest export-related project for creatives in Sweden, with Malmö’s Form/Design Center as one of its nine partner organisations. “We received a very positive response to the Swedish pavilion, which occupied a central spot in the Old Truman Brewery, where the fair was held. The pink pine timbers that made up the pavilion breathed wood and contemporary Scandinavian design, which proved popular with visitors and exhibitors alike,” explains Terese Alstin from the Form/Design Center, who was project manager for the exhibition. The images may be used for this article. Write the name of the photographer when using photos: Marina Jackler. 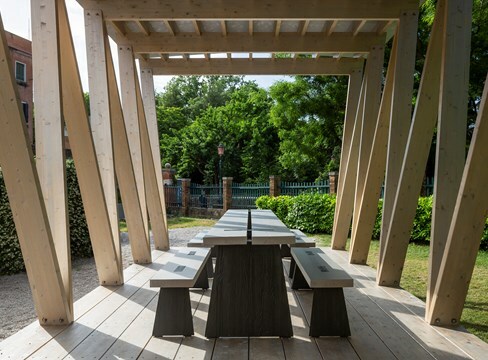 PRESS RELEASE Swedish pine has pride of place as the industry organisation Swedish Wood, architectural practice In Praise of Shadows and furniture manufacturer Källemo join forces for the Swedish association of architects’ exhibition at the ongoing Architecture Biennale in Venice. As a wood nation, Sweden has plenty to offer at this time when forest resources and wood construction are in sharp focus in the UN’s 2030 Agenda for sustainable development. 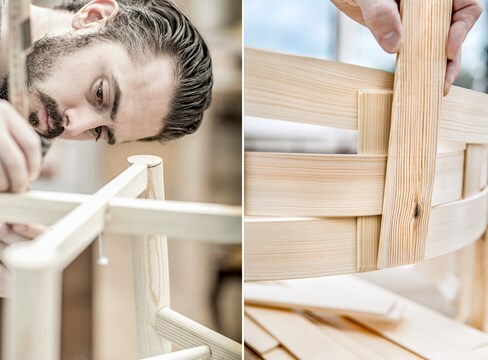 At the Stockholm Furniture & Light Fair on 7-11 February, third-year students on the Furniture Design programme at Carl Malmsten Furniture Studies (Malmstens) will be presenting the results of the unique collaborative project #DesigninPine. There are nine items of furniture, each representing a successful meeting of Swedish design, Swedish pine and modern Chinese furniture manufacturing. Welcome to the launch and VIP gathering.